>Yesterday I got the Cooshie Tooshie diapers I purchased. These are my first WAHM made diapers. They are very clearly individually vs factory made. 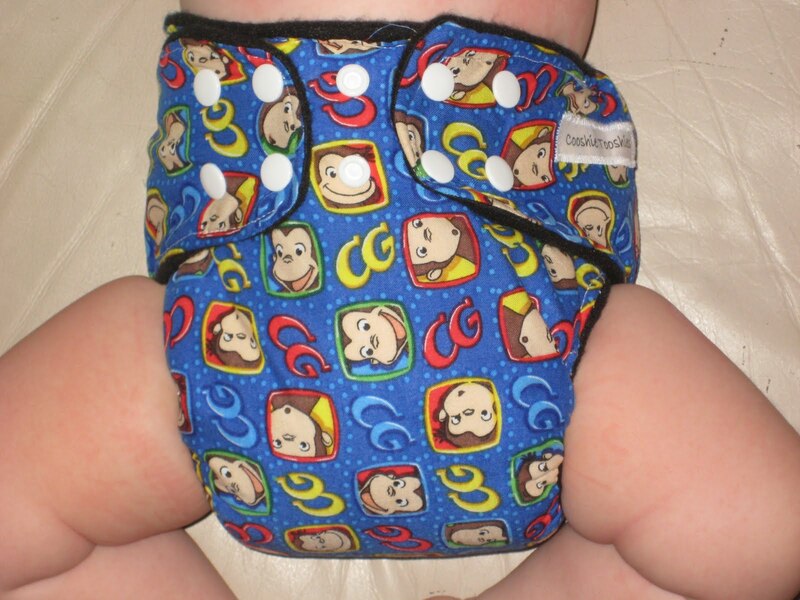 The thing I like best about WAHM made diapers (aside from supporting another Mom) is the adorable prints. I love that the inside is black. No stains! 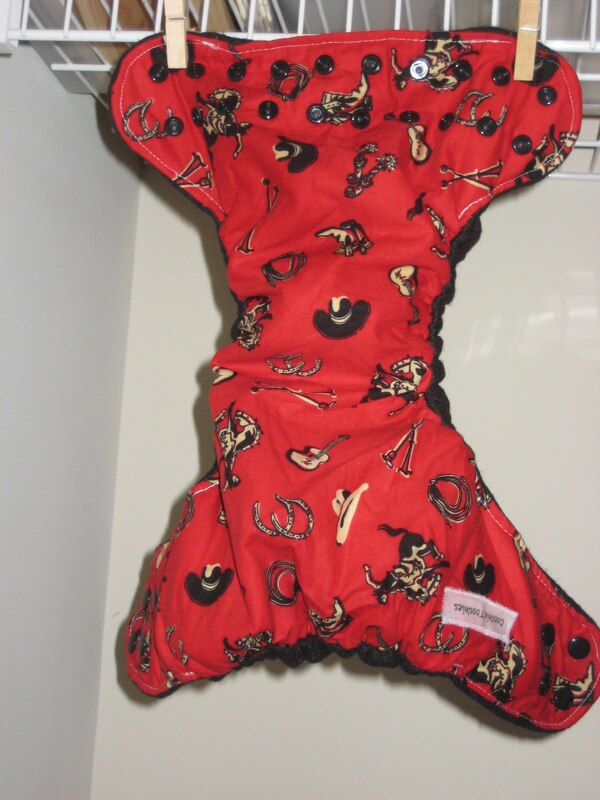 The red rodeo diaper is a pocket style. It was sent with a microfiber towel to fold & stuff. Some WAHMs do not include an insert. You can make one, buy one, or use a towel. The pocket opening is in the front, which doesn’t matter, but is different than I’m used to. I washed them separately since they are brand new & so dark, then hung them to dry. The Curious George diaper is an all in one, the first I’ve owned. The soaker is firmly stitched in and didn’t bunch while washing. It definitely took a while to dry! These are also both size mediums. They’re the first non one size diapers I’ve purchased. They seemed similar to the medium BG setting in length but seemed narrow through the middle. They were trim & adorable on! He only wet these diapers. 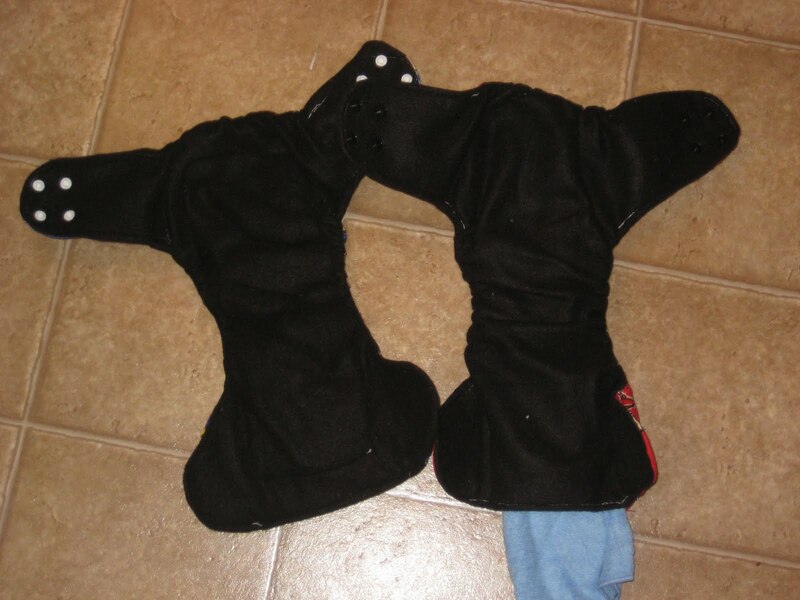 They didn’t fit quite as snugly around the thighs and we had a little wicking around the legs. The price was excellent, they’re adorable and I’m happy to support a WAHM. I definitely think if you were to do AIOs full time, you would need to double the stash since they take so long to dry. I also think it would be much more difficult to keep them clean & stink free since you can’t treat the soaker separately, and you do not want to damage the PUL. I’m very happy to have these cute diapers! Edit August 2010: I ended up selling these because I didn’t love the fit on my son as much as others I have.